VEGAN IN NOTTINGHAM: LEE ROSY'S. - CRUELTY-FREE BECKY. 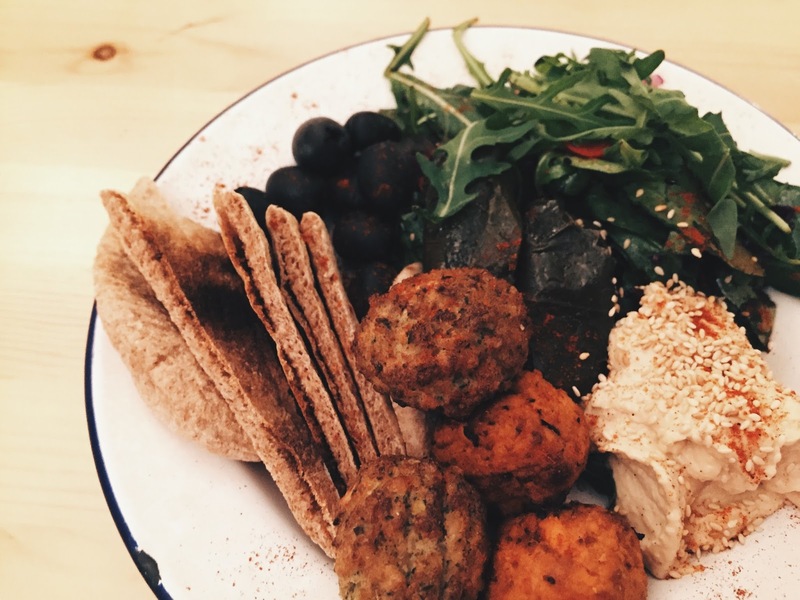 VEGAN IN NOTTINGHAM: LEE ROSY'S. WHERE? 17 Broad Street, NG1 3AJ. WHAT? A nice little tea shop and cafe, serving about a million types of tea. I've tried their English Breakfast Tea (can't go wrong), as well as their Christmas Tea which tastes strongly of almond. I was a big fan when I first tried this sweet treat, but it slowly became too much for me as it can get a little sickly after a while. Too much of a good thing ey. (For those interested, it's made up of black tea, orange peel, cloes, hibiscus blossoms, almond pieces & cornflower blossoms). I've also tried their mezze platter (pictured above), which was actual very pleasant. It's quite basic but at a reasonable price of £5 you can't complain. Their decor is basic and rustic and I like it a lot. There's a good sized room downstairs to work if you need a slightly more quiet environment. I recommend this place as a perfect setting to settle down and do school or uni work at.